InLoox is a comprehensive project management tool to improve collaboration and streamline the management of projects, time sheets, expenses and even business processes specific to your business organization. Project management software tools enhance coordination between team members, resulting in faster identification and resolution of issues. The purpose of InLoox is to support companies and teams working on projects in a professional service environment. Our project management software is designed to assist your company in its project planning and management steps. It is furthermore able to assist you in keeping projects within your budget. Our effective project management software helps you handle all the complex projects of your business without interruptions coming from unclear roles, miscommunication, convoluted tasks and lack of accountability. If you need to schedule multiple tasks and events at work, our project management software InLoox can provide valuable assistance. InLoox is used across all sectors of industry and is available in two editions. Responsible for the design, development and sales of InLoox are the Outlook software specialists InLoox, based in Munich. A free demo edition is available for download. More information about the InLoox product variants. Read here, what journalists and customers say about InLoox. With InLoox PM, individuals, teams and distributed working groups are more efficient in their daily project work. InLoox PM helps you to plan milestones and budgets, organize documents, communicate progress and track efforts of your projects. InLoox PM makes all project management tasks available directly in Microsoft Outlook - from drafting projects by using mind maps to project planning,document management, reporting and billing. All these steps can be done on one central platform that is also perfectly equipped for all requirements of successful project communication. Get a quick overview of the most important InLoox PM features in our product movie. More than 2,500 customers and 35,000 users on five continents and in over 40 countries worldwide rely on InLoox PM. Many blue-chip corporationsworldwide run on InLoox. Our customers are companies of all sizes and from all sectors of business. Business sectors as different as telecommunications, engineering, banking, manufacturing and processing industry, health, public administration, business consultants and agencies - to name just a few - use InLoox PM every day: a reliable, state-of-the-art solution for efficient project management. Well-known companies such as AVIS, Siemens, Pentax Europe or US Airwaysare - beside many others - among our customers. The project management software InLoox PM is tailored to the daily challenges and the everyday routine of project management. Inspired by the suggestions of our customers, we are constantly evolving our project management software and adjusting it to the requirements of modern project management. There is a multitude of application scenarios for the project software InLoox PM. Therefore, InLoox PM customers can rely on comprehensive and up-to-date support services for the InLoox product range. Whether they use the InLoox PM online help or find answers to frequently asked questions in the support data base, find out how to configurate and use InLoox PM by watching our video tutorials or receive expert help via our online ticket system - they will receive quick and practical help. Finden Sie Erklärungen zu gängigen Begriffen aus dem Projektmanagement im InLoox Projektmanagement-Glossar. 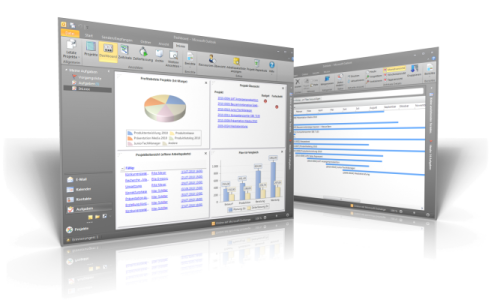 Project management software InLoox PM operates within Outlook®, simplifying and combining the organization of projects, documents, resources and budgets. Project Management Software, Project Management System & Tools • Copyright 1999-2019 © InLoox, Inc. All rights reserved.